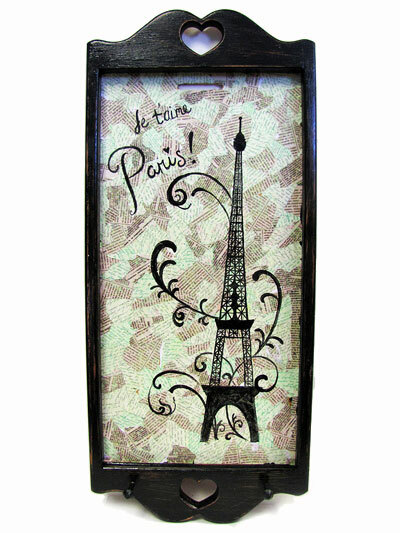 This wall hanging key holder features the Eiffel Tower and the words "je t'aime Paris!" painted in black on a decoupage background. This unique piece of artwork was hand painted and decoupaged by Marj Serr and is one-of-a-kind. The height of the board is 30" and the width is 13".